Andhra Pradesh is one of the famous and well developed states known for educational excellence, you can find number of college in Andhra Pradesh which span across various subjects and streams. Aspirant from Andhra Pradesh and outside the state prefer colleges in Andhra Pradesh to study, these colleges are spread across all parts of the state. In every corner of the state colleges are established in Andhra Pradesh to provide education to every student in various streams such as Arts & social science,law, engineering, medical, commerce or journalism and mass communication. Governments as well as private colleges are located in Andhra Pradesh. Colleges in Andhra Pradesh plays vital role in developing and promoting higher education of Andhra Pradesh. You can find different colleges which provides various degrees such as Management, engineering, Medical, Law, Information technology, pharmacy and so on. Getting an admission into colleges of Andhra Pradesh is not an easy task one need to get it done with the entrance examination. Colleges in Andhra Pradesh also provide free scholarships to the deserving and talented aspirants which help them to pursue higher studies. Most of the famous colleges in Andhra Pradesh are located in Hyderabad. Basically the courses offered by Andhra Pradesh universities are regular courses which are provided with campus facilities, most colleges provide residential facilities for non local students, some colleges also offer distance courses. Most of the colleges also have active placement cells, which invite renowned companies for campus recruitment. 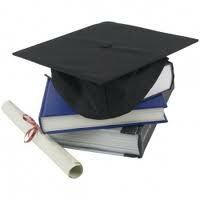 "Following is the list of colleges in Andhra Pradesh. All Colleges in Andhra Pradesh are divided into region wise. To view colleges in a particular region kindly select the region from the drop down list. The number of colleges in any particular region is mentioned in front of the link. If you come across any college in Andhra Pradesh which is not found from our list below, please do let us know by using add in list which is default in our website�.